Monica Foitzik, L.Ac. 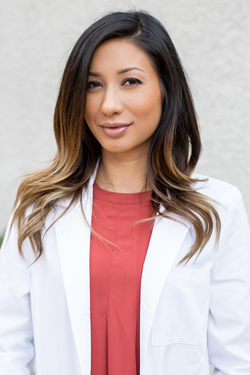 is a Pacific College of Oriental Medicine graduate and is uniquely trained to give you an East Asian medicine treatment. Pacific College of Oriental Medicine (PCOM) is one of the first and largest schools of acupuncture and Oriental Medicine (AOM) in the United States, with campuses in San Diego, New York, and Chicago. Your practitioner underwent a thorough education program with faculty who are experts in the field. Graduates are highly qualified practitioners who are passionate about their patients. Monica uniquely practices a style of Japanese meridian therapy that utilizes very thin needles with the option to utilize a tool called a ‘tai shin,’ which increases comfort for those who suffer from needle phobia. In addition, she practices Kampo style Chinese herbal treatments to increase the efficacy of treatments.